Clear skies with a few passing clouds. Low around 50F. Winds S at 5 to 10 mph. Read through the obituaries published today on lacrossetribune.com. 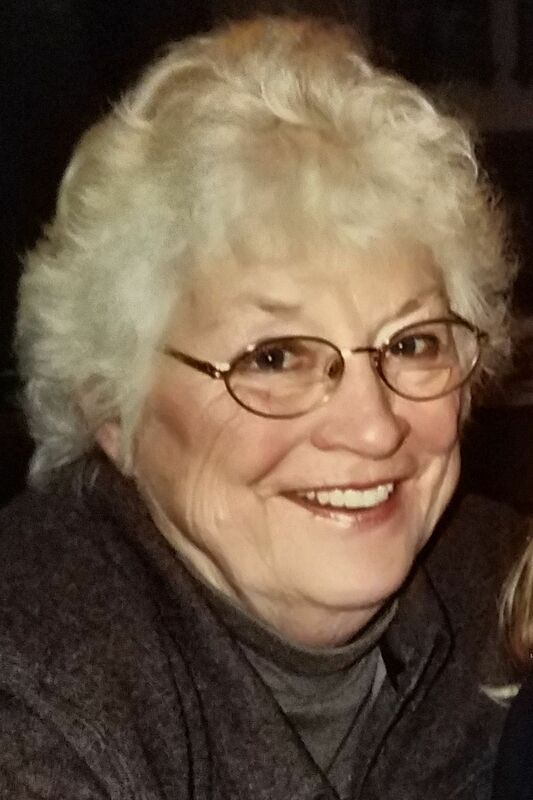 VIROQUA — Suzanne Garrett, 85, of Viroqua passed away Thursday, Jan. 3, 2019, after a lingering illness. She married Forrest Garrett in 1952 and farmed in Pecatonica, Ill., until 1978, when they moved to their beloved Kickapoo Valley in Viroqua. Suzanne was co-owner of Serendipity Golf Course. Suzanne and Forrest began establishing the course in 1998, when she was 65 years old. It was a huge undertaking which she described in her book “Serendipity Golf Course.’ Situated along the West Fork of the Kickapoo River, Serendipity Golf became well known for its friendly, laid back atmosphere and beautiful setting. Suzanne loved all things nature, especially animals and birds. She and Forrest worked as a team-milking cows and raising pretty much any animal that had hair or feathers. She never considered it work. She was an accomplished horse woman. She loved new ideas and especially “projects.” If she came up with a project there was no stopping her. She had a wonderful sense of humor but was no stranger to sorrow, disappointment or hurt. She had a spirit that never quit. It is that spirit that will live forever in our hearts. She is survived by her daughter, Deb; son, Jeff; daughter-in-law, Diana (Clements); grandchildren, Jesse Swenson (Kurt), Josh, (Heidi), Ben and Hanna Garrett; and three great-grandchildren. All reside in the Viroqua area. A memorial gathering will be held from 3 to 6 p.m. Sunday, Jan. 20, at the VFW in Viroqua. HOLMEN -- Edith Grace Ekern, 93, of Holmen passed away Wednesday, Jan. 9, 2019, at the Bluff View Memory Care Center. She was born March 10, 1925, to Olna and Elizabeth (MacCartney) Beardsley. She was baptized and confirmed at Holmen Lutheran Church April 2, 1950. Edith married Joel Chester Ekern April 27, 1949, and he preceded her in death. Edith attended Wayne School of Practical Nursing from 1945 to 1947. She worked summers at Stokely-Van Camp, Inc., in Holmen. She also worked at Holmen Day Nursery and provided child care for several others. In 1967, she took first place in 'beautiful Ivory baby' Sweepstakes. Edith enjoyed sewing doll cloths, Halloween outfits, cloths, knitting and crocheting, fishing, camping, making cookies for granddaughters, and of course Kit-Kat's! She is survived by her son, Jewel (LaDonna) Ekern; granddaughters, Hope (Matt) Chu, Dawn (Jim Bertelson) Ekern; and great-grandchildren, Dylan and Lilah Chu. She is also survived by her sister-in-law, Betty (Al) Beardsley; as well as several nieces and nephews. She was preceded in death by her husband; her parents; and 11 brothers and sisters. Funeral services will be held at 11 a.m. Saturday, Jan. 12, at Holmen Lutheran Church, 228 Morris Street. Pastor Matt Toso will officiate and burial will be in the Green Mound Cemetery. Friends may visit with the family from 10 a.m. until time of services at the church. Information and online condolences may be given to the family at www.dickinsonfuneralhomes.com. The family would like to give a special thank you to the entire staff at Bluffview and Gundersen Hospice for the exceptional and wonderful care given to Edith. VIOLA -- Ivan “Bud” Joholski, 96, of Viola died Wednesday, Jan. 9, 2019. Funeral services will be held at 11 a.m. Monday, Jan. 14, at the Viola United Methodist Church. The Rev. Dr. Hong-Lim Park will officiate with burial to follow in the Viola Cemetery. Friends may call from 2 to 4 p.m. Sunday, Jan. 13, at the Vosseteig Funeral Home's Henthorn Memorial Center. In lieu of plants or flowers, memorials may be sent to Vernon Memorial Hospice, or the Viola American Legion. To view the full obituary or offer condolences visit www.VossFH.com. The Vosseteig Funeral Home of Viola is serving the family. Charles ‘Charlie’ Strover, 31, of La Crosse passed away Monday, Dec. 31, 2018.